Manchester City travelled to Swansea with the hope of getting into the FA Cup semi-finals. They wouldn't have anticipated an easy win however as their important players such as Vincent Kompany, Kevin De Bruyne, Benjamin Mendy and Fernandinho were unavailable. 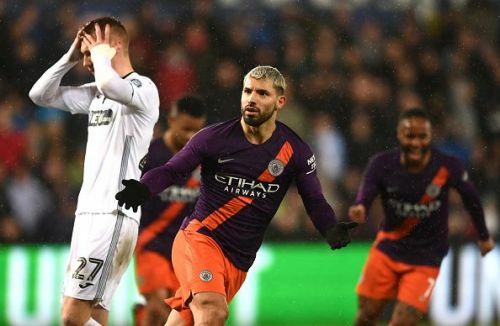 With their pocket dynamite Sergio Aguero as a sub, the team started the FA Cup quarter-finals hoping to do the job without disturbing the key player. Swansea had the tough task of playing attacking football without opening Manchester City a room for a potential goal. From a two-goal deficit at the end of the first half to a victory with three goals, in the end, Manchester City survived the thriller. Manchester City played very well and looked good enough to make the chances slim for Swansea in the opening minutes of the game. However, Swansea got lucky against the Premier League leaders as they turned the game gradually in the first half. Swansea was awarded a penalty after a reckless tackle attempt of Delph in the penalty area caught Roberts. Matt Grimes grabbed the opportunity gladly and scored a neat penalty for Swansea. At 29' Bersant Celina further notched up a goal for Swansea. Manchester City went into half time with a two-goal deficit despite a dominant possession. Under Pep Guardiola, the team never scripted a comeback from a two or more goal deficit in the first half. It left the Spanish coach with an impossible task to pull off. 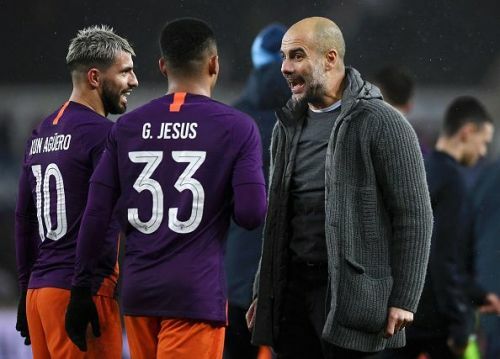 At 57' with the intentions to win the game, Guardiola bought in his gun players Raheem Sterling and Zinchenko to replace Sane and the penalty giver Delph. However, there was no instant impact for Manchester City. Thus, the boss unleashed his ultimate weapon, Sergio Aguero. The Argentine was right into the game with a goal attempt at 69' which was blocked by the goalkeeper. However, it found the foot of Bernando Silva who immediately sent it into the goalpost. Manchester City further had a penalty opportunity at 78' after Carter Vickers tussled with Sterling for the ball leaving the Winger down on the box. Aguero took the penalty but the goal was an own goal after it came off the back of a diving Nordfeldt. Aguero scored a goal at 88' which was suspected to be offside. However, Manchester City was awarded the goal due to an arguably controversial decision. Thus, the comeback was complete and Manchester City's FA Cup dreams were kept alive. To sum it all up, Manchester City played a dominating football and grabbed the win. They had more than 65% possession and attempted the majority of shots. Swansea supporters were disappointed after the team looked likely to pull off an upset victory. Manchester City will compete against Fulham on Saturday, 30 March in a Premier League game. Swansea will take on Nottingham Forest on the same day in an EFL Championship R39 match. Man City vs Watford: FA Cup 2018/19 Final | Can Watford Win The FA Cup?